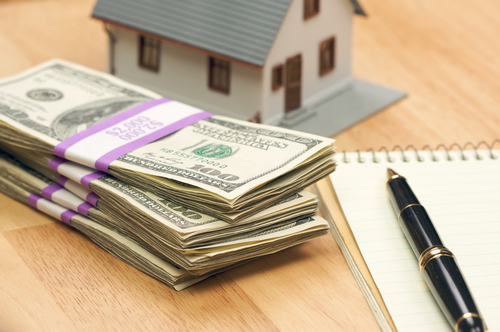 As anyone who’s ever been remotely interested in purchasing a home knows, a down payment is a form of securing a loan with money you’ve previously saved. The 3 percent down mortgage is typically the lowest down payment on the US market, with FHA loans requiring a 3.5 percent down payment. The bigger the down payment, the lower the total amount you end up paying for the mortgage. Now that we’ve gotten the basics of down payments out of the way, it’s important to note that in 2015, low- and no-downpayment mortgages have gained traction, especially when it comes to first time buyer home loans. That’s because news outlets left and right, including CNN and other major broadcaster, have heralded the advent of the millennial generation onto the market. For a first time home buyer NY may have previously seemed like an unapproachable area until 2015, but a new study from Harvard University says that millennials stand to create 24 million new homes by the year 2050 – and that includes typically high priced areas like California and NY. We’ve previously discussed FHA, VA, and USDA low mortgage loans, so it’s now time to take a closer look at this year’s news, in what concerns such lending programs. This program, launched by Fannie Mae and Freddie Mac, basically offers 97 percent mortgages – and that, of course, is where the program obviously got its original name from. The first Conventional 97 was suspended toward the end of 2013, in spite of its immense popularity. It made a comeback in late 2014, with more lenient terms for borrowers and a special focus on first-time buyers (though repeat buyers are also eligible). Such mortgage loans are more affordable than the FHA-insured ones; they even allow borrowers to fund their entire downpayment from gifts from blood relatives, or from people they are related to by marriage. The mortgage threshold stops at $417,000, even in high cost areas, and specifies no minimum credit score for eligibility. It can be used for refinancing an existing mortgage and is only applicable to single-unit homes. This new LTV program from BBVA Compass, called Home Ownership Made Easier in full, targets borrowers with low and average incomes, who are still struggling to make a 3 percent downpayment. It is part of a larger initiative from VA, who has recently committed to dedicate $11 billion to low and moderate income earners. Check out BBVA Compass hours at your local branch and find out if you’re eligible for such a 100 percent LTV loan – the lender will also throw in a maximum of $4,500 for certain closing costs. Eligibility is firstly based on income earning power, as determined by the Federal Financial Institutions Council, and successful applicant must prove they’re earning below 80 percent of the median income in their area. Cash gifts and seller funds can be used to cover prepaids (taxes, insurance) and certain closing costs. Fixed rate mortgages for 10, 15, 20, 25, and 30 years are available and even higher income earners can apply, if they’re looking to buy homes in low or moderate income tracts.